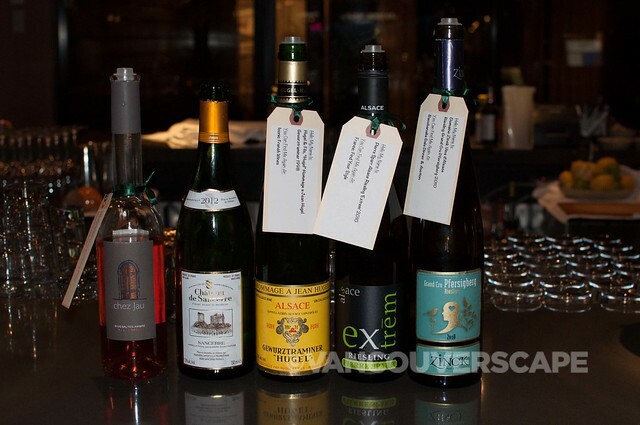 Last night, the Vancouver International Wine Festival launch got underway at Vancouver’s Forage Restaurant. Chef Chris Whittaker presented an array of local cheese, meats, appetizers, and small bites to enjoy along with 20 out of the Festival’s multitude of wines that will be poured from February 24 to March 2. 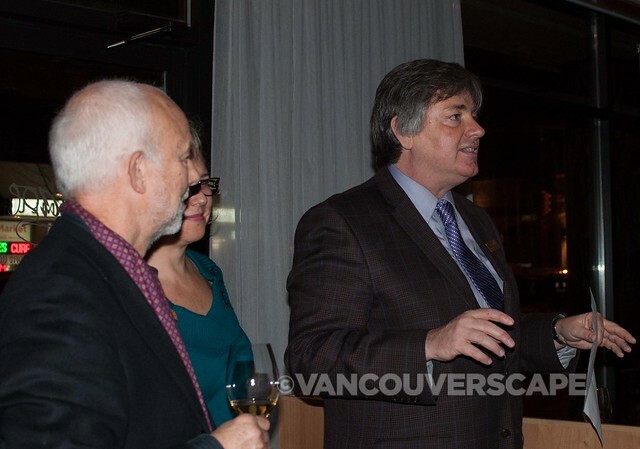 Vancouver Wine Fest Executive Director Harry Hertscheg kicked off the evening by toasting to featured wine region France and to the festival’s global focus, Bubbly, with a glass of Taittinger Brut Réserve NV together with some of BC’s most well-respected wine experts and sommeliers. 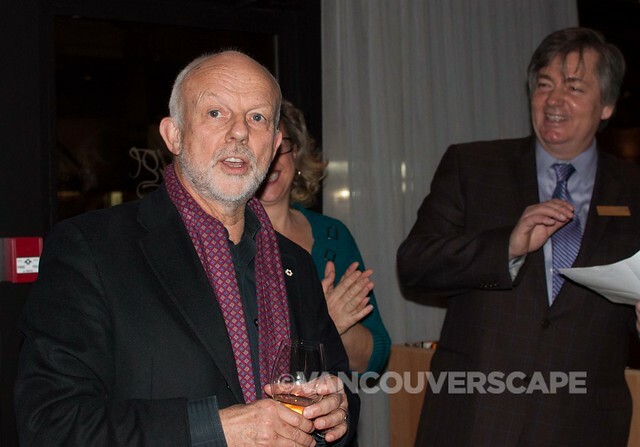 The event also served to bring Bard on the Beach Artistic Director Christopher Gaze to the forefront, as this is Bard’s second year as the wine festival’s chosen charity partner. Gaze also introduced newly-appointed Bard Managing Director Claire Sakaki to our group. Now in its 36th year, the Vancouver Wine Fest has much to celebrate, as it’s one of the largest and oldest-running wine events in North America. Some of the world’s top winemakers will be in town to present and discuss their wines at the Vancouver Convention Centre. International Festival Tastings will take wine lovers on a global journey on three nights from February 27 to March 1. Meanwhile, Bard on the Beach is in good hands – the Vancouver Wine Fest has raised nearly $8 million to date for our city’s performing arts sector. I discovered a few favourite pours from the evening as well. 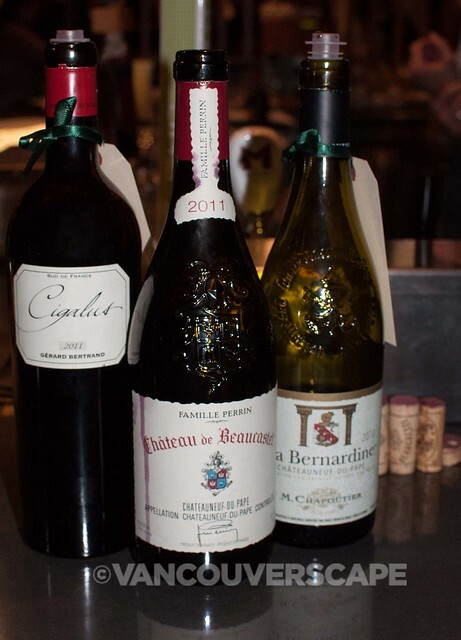 Familie Perrin’s Château de Beaucastel Châteauneuf-du-Pape 2011 is a full-bodied, rich red with a plum and spiced black cherry bouquet, and needs nothing to pair it with, it’s that complete a wine. It can also be cellared for 15 to 20 years. It will be poured at the Iconic French Wines seminar on February 28 (a sold-out event). Domaine Zinck Vins d’Alsace Crémant White is a pleasurable brut using three grape varieties: Pinot Blanc, Pinot Noir, and Chardonnay. This bubbly benefits from a bouquet of apricot and exotic fruits. If you’re attending the France Bubbly Party on February 25 at Ginger 62, you’ll get a chance to enjoy it together with other sparkling wines, a raw bar, and DJ entertainment at this lounge party. Another worthy discovery of the 16 French wines poured last night was the Hugel & Fils Hommage à Jean Hugel Gewurtztraminer 1998, with its bright yellow colour and aromatic bouquet invoking honey, vanilla, almond and rose, in a balanced juicy wine. This one would pair nicely with green apple and aged cheddar or a spicy Asian noodle dish. This wine too will be part of the sold-out Iconic French Wine event, but I’m guessing it will be available at the onsite BCLDB liquor store. If you’ve not yet perused the online schedule, there’s just about something for every wine aficionado, including blind tasting seminars, dinners, and the big kick-off party of the season, Bacchanalia Gala Dinner and Auction at the Fairmont Hotel, leading the festival on Saturday, February 22. A good portion of the lunches and dinners are already sold out, so if something catches your fancy, now might be a good time to consider tickets to avoid disappointment. After all, a festival this big only rolls through town once a year. 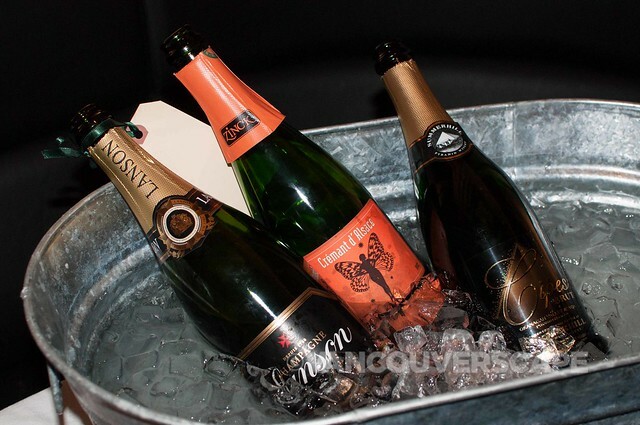 For more information on the Vancouver International Wine Festival, visit the website. A direct link to tickets and updated availability can be found here.